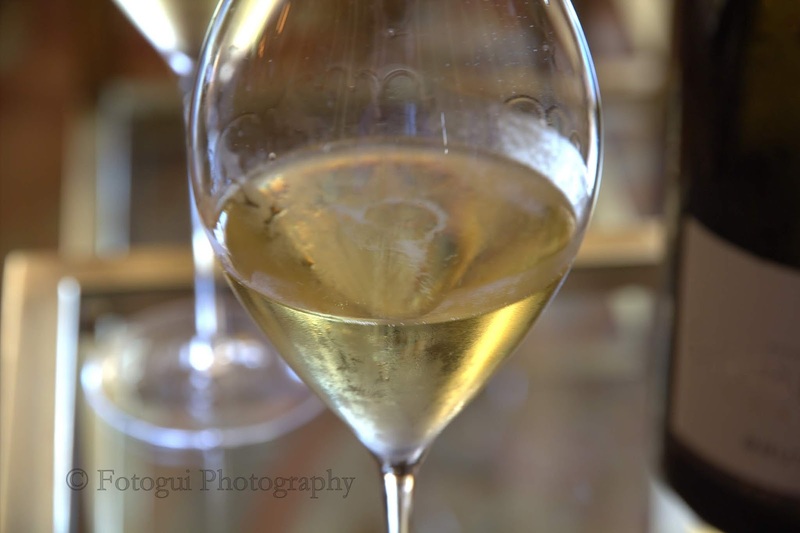 Eleven years before my first visit to the Champagne region, in 2003 Champagne Jacquesson had kicked the concept of producing in their view what has become commodity NV 'house' Champagne to the proverbial curb. Paraphrasing from my notes, saying in effect, "We reject the philosophy of consistency for our wines, we instead strive for excellence!" Jean-Hervé of Champagne Jacquesson. That was quite the statement, one that raised more than a few eyebrows among my fellow travelers, writers, and observers. It was during the latter end of French Revolution that Jacquesson Champagne came into being, and it was in the nineteen-eighties, nearly a hundred years later, the Chiquet brothers together continued the spirit of revolution throwing off the yoke of the cliched 'house brand' which dominates much of the landscape in Champagne today. This change was not easy, it was burdensome, much of the past needed to be cleaned up before they could move forward to a new future independent of the 'house' model the brand had previously become to be known. In Jean-Hervé's words, "we had to clean up the past before we could move forward with our new initiatives." They also had to find new customers much faster for their renamed, rebranded and different Champagne styles before the old customers had gone away. Much like the French Revolution, which had some shall we say 'messy' elements to it, so too did Champagne Jacquesson's transition from a typical Champagne house toward what could only be described as a 'grower' Champagne producer. Today CJ owns more than eighty percent of the vineyards where they source fruit, the rest is leased via farming and buying contracts, both brothers work closely with these growers to assure the quality and organic standards are followed to the letter. Their vineyard manager Sylvain Lablanc oversees the operation, which includes somewhere between 69 and seventy acres in the Grand Cru villages of Aÿ, Avize, and Oiry, and in the premier cru villages of Hautvillers, Dizy, and Mareuil-sur-Aÿ. CJ central vineyard holdings are found in the Grande Vallée de la Marne and in the Côte des Blancs. Sustainable practices are in place at all their vineyard sites with one-third of their production is sourced from Organic Certified vineyards which they manage. Just a stone's throw across from the river Epernay, CJ has a small production facility, in the picture above Jean-Hervé of Champagne Jacquesson, explains their philosophy on pressing grapes, one I've seen many premium brands adopt. Only juice from the first pressing is used, while the rest is sold off to négociants, the grapes harvested for this process are either Grand Cru or Premier Cru vineyards. 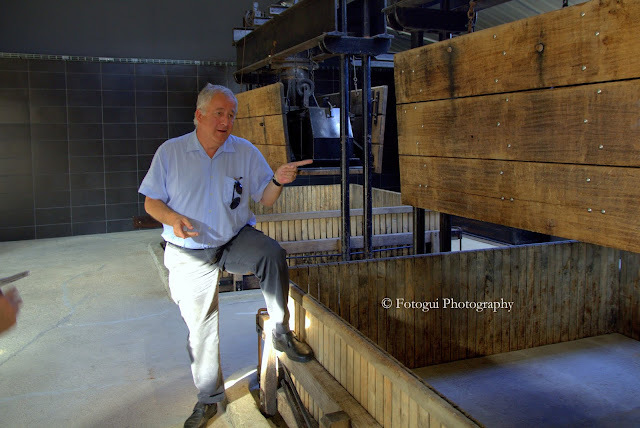 Jacquesson believes in the use of the vertical press exclusively, as he discusses the issues associated with horizontal presses, what he termed as less gentle and even abusive to the freshly harvested grapes. They use these style of a press by choice, there's much less force on the fruit, and then it gravity feed over to stainless steel tanks for 24 hours and then it's off to the fermentation barrels seen below. If the pressed juice does not meet their standards, they will declassify it and sell it to négociants. Jacquesson states there is a big debate in the Champagne community regarding malolactic fermentation and, if you block it, you'll want to limit acidity, but we never prevent malo here. Jacquesson further explained the essential key to the pressing process is to be as gentle as possible, grapes contain many astringent and sometimes bitter compounds which obviously are undesirable. Press juice is often associated with higher pH and better phenolic character than its free-run counterpart. After the pressing, the juice is gravity feed to stainless steel tanks for 24 hours and then moved to neutral barrels aka 'foudres' where malolactic and alcoholic fermentation takes place. This process can take several months to complete. Jacquesson explained there's no fining done here, and we don't know why it would be done at all in Champagne. Strolling through the facilities, I took note of how immaculate it was, just pristine, almost as if I was walking through The Louvre in Paris and not a crush pad. The fermentation process typically is allowed to spontaneously occur, but when it does not, it's inoculated with Champagne yeast, and the 'lees' (not the ones you're wearing) are stirred twice each month, adding complexity and richness to the wine. Racking is done later on in the year. As we moved into the tasting parlor, where glasses were set up, bottles were prepared Jacquesson spoke eloquently about the transition I described earlier, "In a way, we're phasing out the vintage wine model, as most of our wines are Cuvée of four different single vineyards, represented by our 7 series. "We respect vintage variation, we don't blend in denial of it." So it's with the popular and now well known numbered Cuvée series. He went on to say, that the best-kept secret in Champagne is the age of the base wines, here at Jacquesson we reject the consistency model and prefer excellence. I gotta say I'm more than a bit partial to the Cuvée series of Champagne, a novel, and unique approach in the Champagne region, raising eyebrows, ruffling feathers and turning heads. It is also worth noting, that before Joseph Krug founded Krug, he worked at Jacquesson; the takeaway, he learned his craft well before finding his own path in Champagne lore. I had the opportunity to sample four of the Grand Vin 700 Cuvée series, 738, 737, 736, 733 and one other but I failed to make a mention of the number in my notes. The following are my tasting notes and impressions of these different Cuvée's. A tough job, I know, but someone had to do it. Once CJ went down the numbered Cuvée path, they knew they could not go back to a blended vintage year ever again. Their philosophy of the addition of a reserve to the Cuvée series is used to in their words, reinforce the overall quality without surrendering the unique quality of the vintage; a fine line to walk. Their 700 series represent approximately ninety-six percent of their 25,000 cases annual production. Cuvée No. 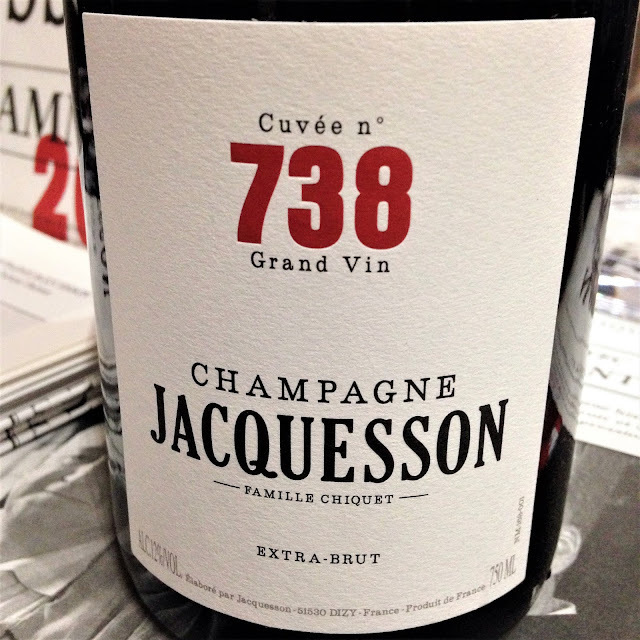 738 Extra Brut: In the glass, small and persistent bubbles, a pale hay color, on the nose salinity, nutty, brioche, and Bosc pears. This wine is delightfully fresh and vibrant, offers a core of rich, luscious fruit, plumbed with abundant acid, bringing balance. On the palate, Bosc pear, and lemon curd mingle subtly with flavor wisps of fresh ginger, Honeycrisp apple, which finishes on a showy lingering finish. A well put together bottle, with much aging potential ahead based on the 2010 vintage, with one third reserve wine and the final blend 61% Chardonnay, 18% Pinot Noir and 21% Pinot Meunier. Most of these have wines have an average retail price of $75, but I've seen this bottle available for a very reasonable price of $59 from one of my favorite online stores. I scored this bottle 92 points. Cuvée No. 737 Extra Brut: This bottle of Champagne spent 60 months on the lees, based on the rich and round 2009 vintage with thirty percent reserve wine. In the glass, the color was straw to gold, persistent vibrant bubbles. The nose was elegant, fresh cut gala apples and brioche. On the palate, it was both vibrant and creamy. Persistent, lip-smacking acidity greets you with delightful flavors of freshly baked patisserie pears, golden honey-crisp apples, toasted almonds, a drop of honey and scented by acacia blossoms. This fantastic juice is punctuated by a creamy note of smoky chalk driven minerality, quietly playing bass in the background, and a long, sumptuous finish will have you thinking about opening another bottle. The charming blend is 43% Chardonnay, 27% Pinot Noir and 30% Meunier. It's finish is clean, precise and incredibly long. The dosage is just 3.6g per liter. I scored this wine 93 points, it's highly recommended. Cuvée No. 736 Extra Brut: Body, depth, and complexity all rolled into one gorgeous package. This wine is based on the 2008 vintage with one third reserve wine. The dosage on this bottle is a mere 1.5 gm/L, making it exceedingly dry, but it still has enough body to carry the day, brilliant execution. A spectacular blend of 53% Chardonnay; 29% Pinot Noir; 18% Meunier, this Jacquesson Extra Brut Cuvee delivers the goods in more ways than one, elegant minerality, pear skins, the essence of grapefruit, fresh cut summer apples, buttered toast, nutty goodness and sweet orange tang. The finish is long and lasting. I was 'wowed' by this wine on every level. My score for this gem is 95 points. The long-term aging potential is there if you can still get your hands on it, grab a six-pack. 2008 "Dizy - Terres Rouges" Extra Brut Rosé: This style of Champagne is becoming very popular here in the states, and this bottle helped me to understand why that is so. It's also on the pricier side of Champagne, there's much more effort involved in the process. This bottle is 100% Pinot Noir, a gorgeous Rose Champagne produced partly via the Saignée or bleeding method and the half is slow-pressed from destemmed grapes. Basically, the weight of the grapes, one on top of another, until they begin to burst and since the grape skins are only in contact with the juice for a short amount of time, the result is a blush of color. On the palate and in the nose, dried rose petal, toast, and a brilliant splash of summer strawberries. 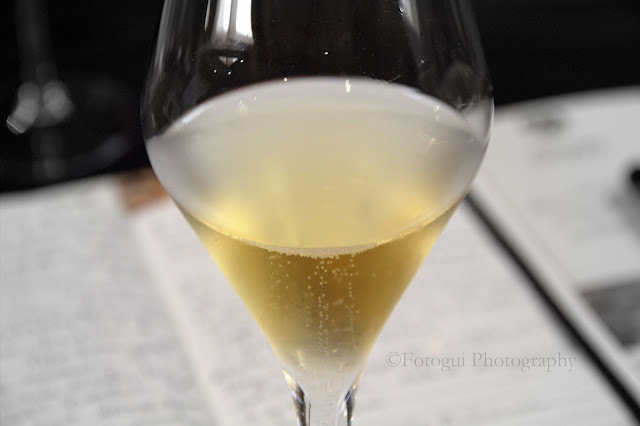 The bubbles are vigorous, very concentrated and continue to fill the glass. On the palate, this Champagne is creamy and elegant, more blood orange, citrus, raspberries, rose petals, floral notes and the finish sails on and on. Only 3.6 grams of dosage, it's pure, clean and crisp from start to finish. My score 94 points, again highly recommended. The SRP $199. 2004 Extra Brut Dizy Corne Bautray: This bottle was a special treat to taste and sample, only 5000 bottles total were made of this gorgeous one hundred percent Chardonnay, planted in 1960 and sourced entirely from a single Grand Cru vineyard. No dosage added and disgorged in February of 2013, just over a year before we encountered at the tasting/visit. This Champagne is one of legend. In the glass, the wine is light in appearance, thinly veiled straw color and clarity wise it was clear. This wine bottled under cork, held in place with a cage, on the nose unexpected peach pit note, Bosc pear, lemon curd, almond paste and undefined citrus aromas. Onto the taste category, the wine was remarkably bone dry; the acidity was crisp but balanced. The body was a medium plus, and the tannins were moderate and well integrated. The flavor descriptors, generous and sublime. Other flavors, crisp, fresh-cut, Fuji apples, lemon-grass, acacia blooms, buttered toast, and nuttiness. The finish was sumptuous and persistent. To be honest, there was more joy here than I would have anticipated, though thoroughly raised on oak, it wasn't apparent. This wine was a stylistic choice by the producer and knocked it out of the proverbial park, absolutely scrumptious. The score for this wine 95 points. Champagne Jacquesson 2004 Avize Champ Cain: This bottling from a single vineyard Grand Cru site planted in 1962 produced a bit more fruit than did the Corne Bautray, double the output, but sadly for the U.S. market only 200 bottles actually were imported. In the glass, this was medium in appearance, bubbles tight and vigorous, a bright straw colored core and the clarity was quite clear. Aromatics were plentiful, white flower, freshly sliced honey crisp apples, Bartlett pears, and citrus. The taste profile, extra brut-dry, only 13.5% abv, it was very fresh, the body was sumptuous, the tannins moderate. A silky and seductive wine on the palate, with flavor descriptors, mirroring the nose, honey, roasted almonds, fresh nectarines, citrus, and finished it out with some wet stone minerality. The finish was suave and expansive, leaving a memorable impression. I scored this wine 94 points, it's a highly recommended cellar selection. 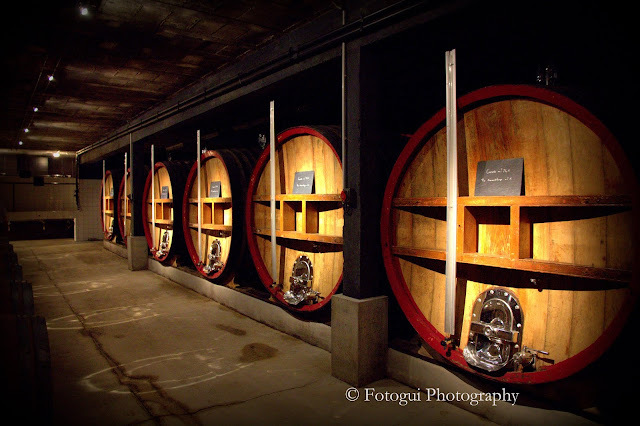 The stop at Champagne Jacquesson was another highlight of my first visit to the Champagne region, and one I will not soon forget. It's easy to convince yourself because you have a few credentials from great organizations like WSET, that you know what a region is all about. But in my opinion, until you actually set your feet on the ground, and talk with the folks behind the label, experience the wines and vineyard for yourself in that place, the realization comes to you, I've just scratched the surface. That was my experience, I came away from the trip with so much more appreciation, and insight into this historic winemaking region than all the wine books in the world alone could have brought to life. Until next time folks, remember life is short, make the most of each bottle you uncork, appreciate, the living art you are about to enjoy cheers!